Description: Sarajevo - 23 July 2013 - Ismet is showing us where he store all the papers he collect, in a room on the first floor of the house. Each day he travel to the recycling company to trade kilos of paper for some money. 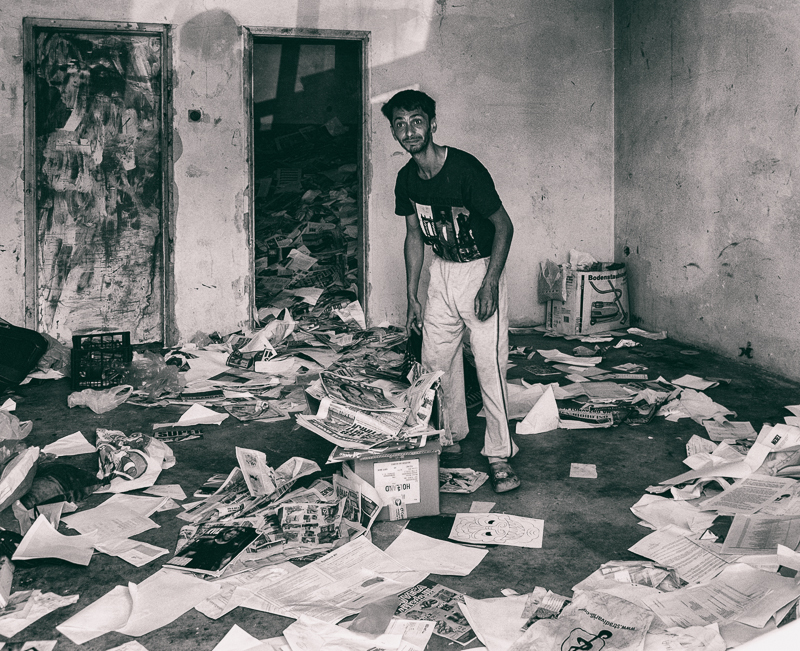 Caption: Sarajevo - 23 July 2013 - Ismet is showing us where he store all the papers he collect, in a room on the first floor of the house. Each day he travel to the recycling company to trade kilos of paper for some money.